You’ve probably been at that crazy party that just kept on blazing. It felt like your head was gonna explode, your body sweating all over as you couldn’t stop dancing. Well guess what, big chance Andrew Mathers was behind the decks that night! 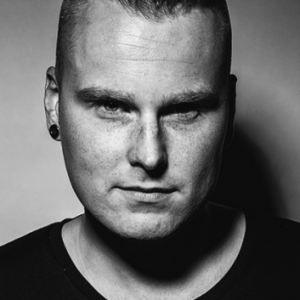 He started his DJ-career as a resident DJ for a local club, but within weeks Andrew Mathers toured all trough the Netherlands, kicking it at parties like ‘Sexed up’ and ‘The Drughouse’. A couple months later he released tracks on Portuguese labels 4Kenzo Recordings and Newlight Recordings and blew the roof of clubs in Glasgow, Scotland. And now you know him as Mr. Congobeats, since Andrew Mathers headlines the ultimate Latin Experience. Not only does he smack you in the face with his highly energized live sets, he’s also quite the producer you’re looking for. With a lot of Latin influences, he creates those slammin’ snares and poppin’ percussion sounds that will Latinize your party anytime! Big names like Axwell, Laidback Luke, DJ Chuckie, Vato Gonzalez and Gregor Salto all support his work, so you’d be crazy not to keep an eye out for this guy!